GIMP, or GNU Image Manipulation Program, is a program similar to Photoshop for altering images. FileZilla Client is a fast and reliable cross-platform FTP, FTPS and SFTP client with lots of useful features and an intuitive graphical user interface. There is also an FTP Server available. Tomboy is a desktop notetaking application. Simple and easy to use, but with potential to help you organize the ideas and information you deal with every day. MuseScore is a free cross-platform WYSIWYG music notation program that offers a cost-effective alternative to commercial programs such as Sibelius, Finale and Capella. Shotwell is photo organision software. Scribus is an Open Source program that brings professional page layout to Linux/UNIX, Mac OS X, OS/2 Warp 4/eComStation and Windows desktops with a combination of press-ready output and new approaches to page design. Jarnal is an open-source application for notetaking, sketching, keeping a journal, making a presentation, annotating a document – including pdf – or collaborating using a stylus, mouse or keyboard. It is similar to Microsoft Windows Journal and to the earlier Mimeo whiteboarding and Palm notepad applications. Searchmonkey is an easy to use app with a friendly look, but do not be deceived by its simplistic look and feel. Searchmonkey enables fast and precise searching of files from your computer. 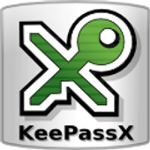 KeePassX password manager- http://www.keepassx.org/downloads/ KeePassX saves many different information e.g. user names, passwords, urls, attachments and comments in one single database. Firefox Internet browser- http://www.mozilla.org/en-US/firefox/all/ Firefox is an open source Internet browser similar to MS Internet Explorer or Google’s Chrome browser. 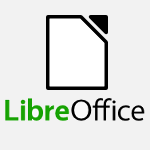 LibreOffice- http://www.libreoffice.org/features/ LibreOffice is the power-packed free, libre and open source personal productivity suite for Windows, Macintosh and GNU/Linux, that gives you six feature-rich applications for all your document production and data processing needs: Writer, Calc, Impress, Draw, Math and Base. It is similar to MS Office. Xubuntu- http://xubuntu.org/ Xubuntu is perfect for those who want the most out of their desktops, laptops and netbooks with a modern look and enough features for efficient, daily usage. It works well on older hardware too.